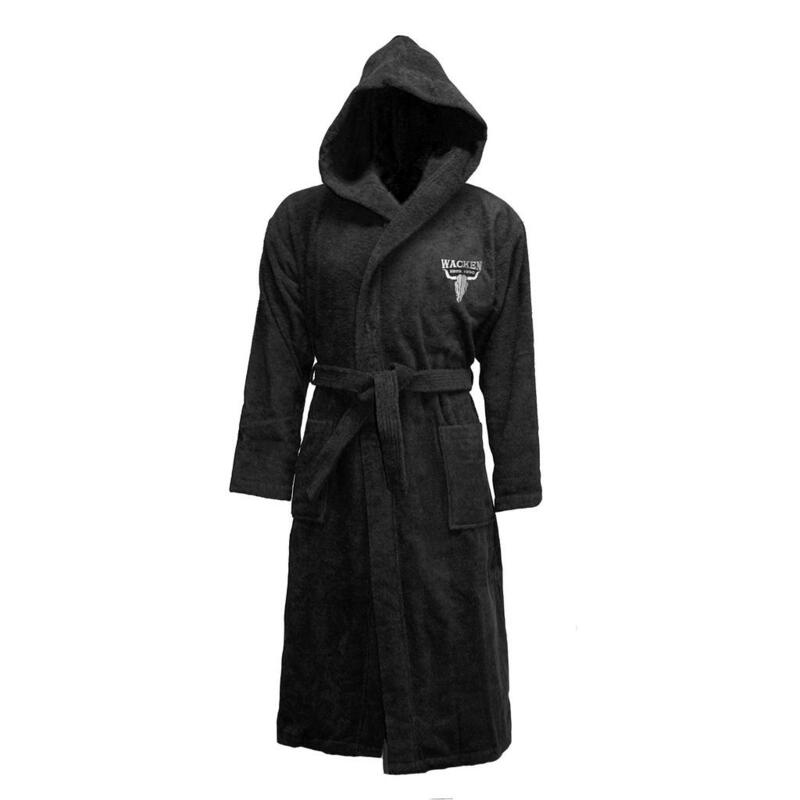 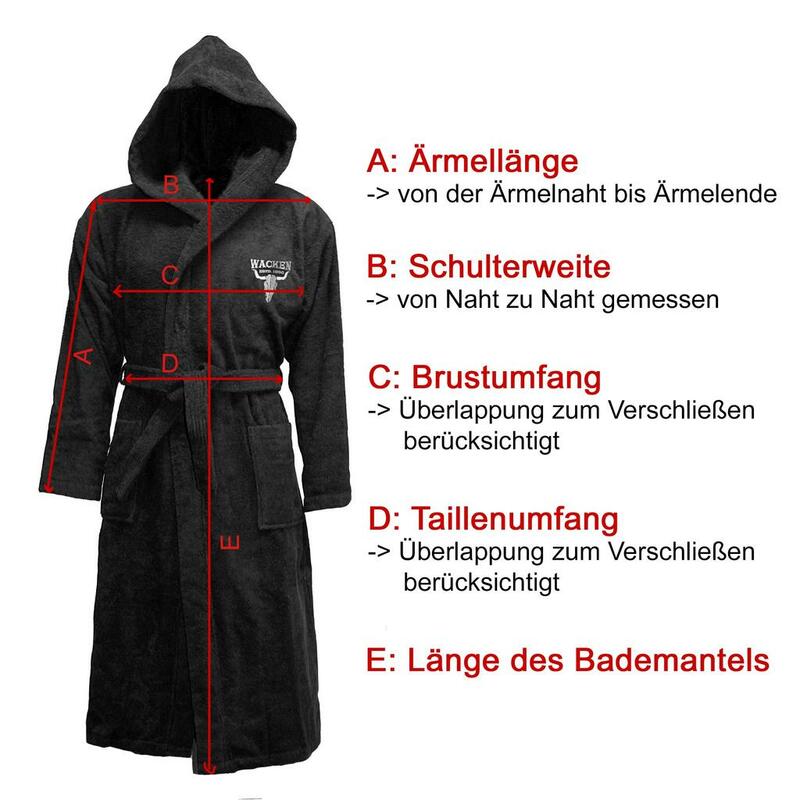 Our new W:O:A bath robe is factured in simple black and you can find a high quality embroidered W:O:A emblem as well as the "Wacken" lettering on the left side of the chest. 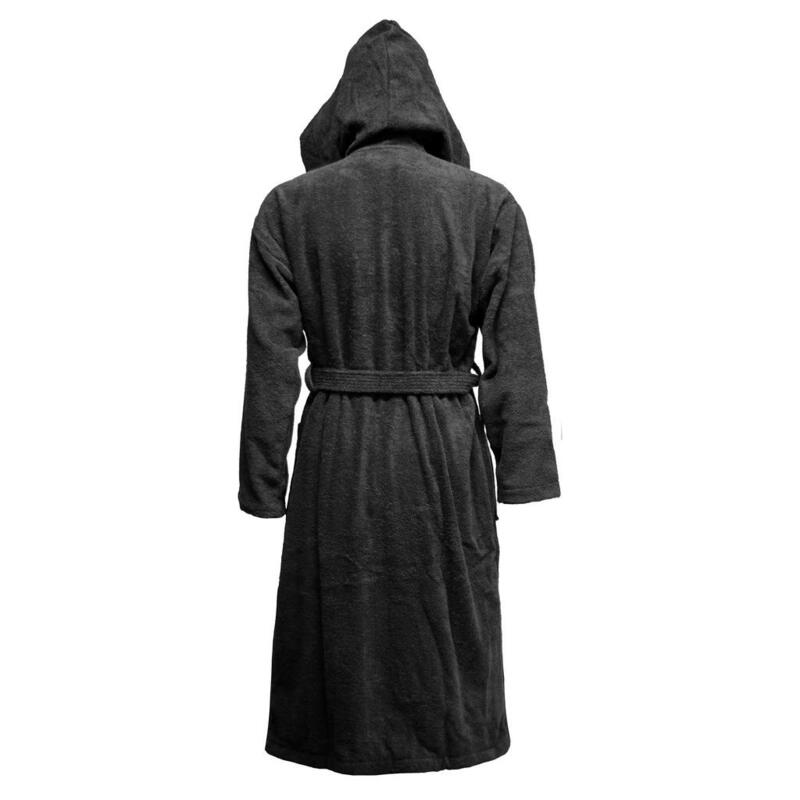 This unique exemplar has a fluffy hood and two large outside pockets. 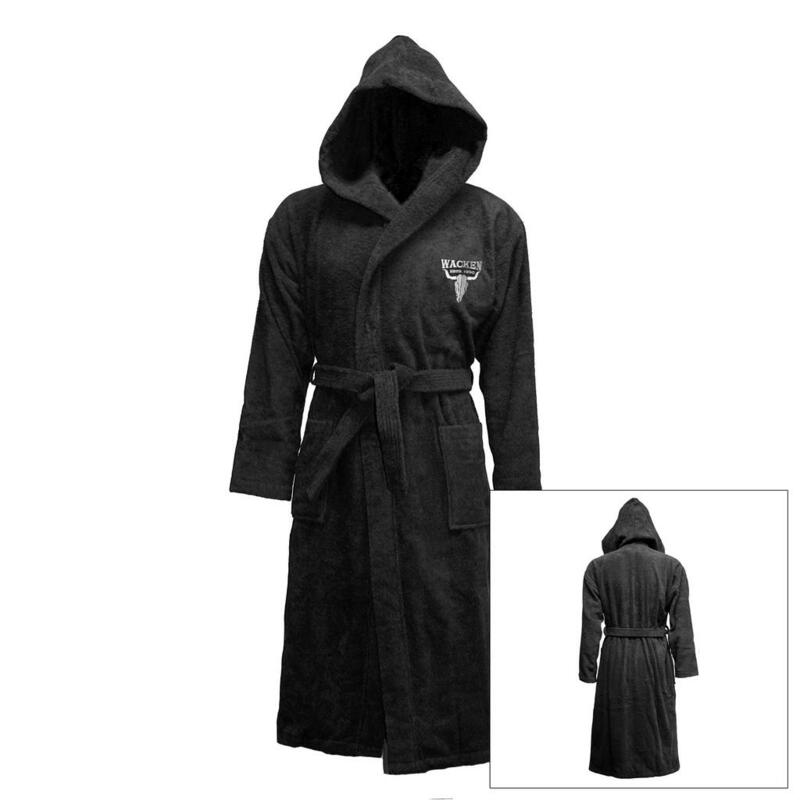 It is ideal for the morning, the evening, for a sauna session or cosy hours at home.